If you want a shop that you can rely on to provide you with the best car maintenance in San Dimas, then be sure to contact the team here at Johnny’s Auto Service! Many don’t realize how important scheduled maintenance is for the well being of their vehicle, but the impact that routine maintenance can have on the longevity of your car simply cannot be overstated, not to mention the savings. If you are searching for car maintenance near me, then you should know that there are countless problems that can be prevented through regular checkups and maintenance. 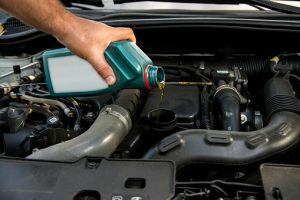 Oil changes and filter replacements on a routine basis ensures that your vehicle continues to run smoothly, and will prevent engine issues down the line, which can be a very expensive and time-consuming process to fix. Getting your tires rotated on a regular basis can increase the fuel economy of your vehicle and increase the life of the tires, which saves you money on gas and keeps you from having to purchase new tires as quickly. There is also the added benefit of safety for a driver, a car that is functioning at its best will help keep the driver safer. The list goes on, but these are just a few of the benefits that getting car maintenance in San Dimas can provide. You don’t need to search “car maintenance near me” and hope that you find a reliable source thanks to our team of professionals. When we say that we offer the best auto repair and car maintenance services in San Dimas, we mean it, and we are confident that after bringing in your vehicle you will feel the same way. You can contact us by filling out one of our online forms or by giving us a call at (626) 966-5212. Our experts will be more than happy to answer any questions or concerns that you may have and to help schedule your appointment as soon as possible.